As specialists in the design, development and manufacture of custom cable assemblies, we are dynamic, flexible and certified. This allows us to manage customer projects on time and on budget to the highest quality. Along with our head office based in Melbourne, Australia, we also have two facilities in Malaysia – Kuala Lumpur and Penang, where we manufacture our cable assemblies. Our main Kuala Lumpur facility is strategically located at Balakong, 20km south of Kuala Lumpur – providing great access to major transportation hubs such as the Kuala Lumpur International Airport and Port Klang, the main seaport, both within a 50km radius. Markerry Industries services a wide range of industries including the expanding Telecommunications market for companies such as Telstra, NEC, Fujitsu and Motorola. We also offer specialised manufacturing services to the Defence, Automotive, Gaming, Medical, Mining and General Electronic industry sectors. cable harness solutions, Markerry Industries formed a strategic alliance in 2006 with EMS Malaysia offering high volume, low cost wire assembly solutions for our customers. Since it’s beginning, Markerry Industries has continued to grow and exceed expectations. Our success is due to localised control and management of projects, strong business relationships and a well-trained production team with flexibility to meet our customers’ needs. As a leader in custom cable harness solutions, we ensure that our wire assemblies are manufactured to the highest possible standard and quality. We have a well-designed quality system and operate in modern facilities, using the latest technology and equipment. With national and international manufacturing capabilities, Markerry Industries manages high volume low cost cable harnessing solutions from our Malaysian operation, whilst facilitating small batch runs, samples and general support from Australia – providing our customers with competitive pricing on a global scale. 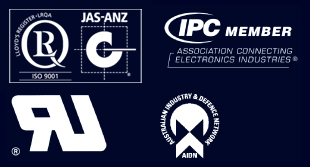 With national and international manufacturing capabilities, Markerry Industries manages high volume low cost solutions from our Malaysian operation whilst facilitating small batch runs of cable assemblies, samples and general support from Australia – providing our customers with competitive pricing on a global scale. As a leader in custom cable harness solutions and an ISO90001:2008 certified company, we work hard to maintain our certification and ensure that the cable products we manufacture the highest possible standard and quality. Our commitment to service and quality cable manufacture is second to none. We pride ourselves on producing custom cables to our customer’s unique specifications and our goal is to ensure that the quality of the cables and wire assemblies we produce is sustained throughout the life of the product. collection to ensure we have the best facilities available to fulfill any wire assembly order. We are happy to discuss possible orders that may require obscure tooling or machinery. Carefully plan and closely monitor all cable production stages. Ensure our cable production team is trained to the highest standards. Always keep our equipment up-to-date – ensuring that throughout the life of the product, our product quality results in customer satisfaction. Markerry Industries is an approved UL manufacturer. In 2010, Markerry Industries implemented SAP B1. the city of Pengang. Our larger Kuala Lumpur facility, is strategically located at Balakong, 20km south of Kuala Lumpur. All our locations provide easy access to major transportation hubs, such as the Kuala Lumpur International Airport and Port Klang seaport – enabling our cable assemblies to be efficiently shipped anywhere in the world. We supply a wide range of industries with full design services, including AutoCAD cable design and support services. Our commitment to service and quality is second to none. We focus on producing and developing cables that keep our customers satisfied throughout the duration of the products’ use. As part of our design service, we have a team of AutoCAD experts who will provide complete and accurate drawings as required and in the format required. This ensures a satisfactory product prior to manufacture and our team is able to assist with any specific requirements you may have. Markerry Industries has an excellent supply network that enables us to provide custom cable design and cable manufacturing solutions. If you require a specific cable type or set-up, we will work with you to find the best possible solution to your needs. Markerry Industries specialises in plastic injection over moulding of connectors suitable for many industry requirements. We can design and manufacture tooling or build to customer specifications. Our custom moulded cables are manufactured with a wide range of electrical connectors. Common applications include power, MIL-Spec, audio signal and RF with applications in high tech applications such as medical, industrial automation, machine tool, rail and automotive. We have built strong relationships with our suppliers, both locally and internationally, to ensure competitive cable pricing and supply chain management for our customers. For special requirements, Markerry Industries can support custom cable design manufacture. Through partnerships with various cable manufacturers, Markerry Industries provide cables that are designed and manufactured according to the specific needs of our customers’ applications. Saving money by specifying the exact quantity and lengths required. Identifying the physical and electrical tolerances. Defining the components (jacket, shield, insulation, shield, etc.) that best fits your application. Optimising the conductor stranding, size and colour-code. Brand recognition by printing your company’s logo and information on the jacket. Markerry Industries offers a full range of power and electrical plugs. Markerry Industries supplies a range of Australian power plugs and electrical plugs – 240V AC, 50Hz standard 3-pin earth power plugs, rated at 10 Amps. Click here for more information. Through our national and international manufacturing facilities, Markerry Industries services a wide range of industries including Telecommunications, Mining, Medical, Defense & Aerospace, Automotive, Renewable Energy, Gaming and General Electronics. We have the capabilities and certifications to meet the specific requirements of our customers – on time and on budget to the highest quality. Our success is due to a well trained production team, modern equipment, excellent quality procedures, visual management practice and flexibility to meet our customers needs. Markerry Industries provides a range of cable technical data and specification sheets. Click here to view. For further information, please contact us. As a leader in custom cable harnessing solutions and an ISO90001:2008 certified company, we ensure that the products we manufacture are to the highest possible standard and quality. We focus on producing cable harness solutions that keep our customers satisfied throughout the duration of the products’ use. We pride ourselves on producing cables to our customer’s unique specifications. Our goal is to ensure that the quality of the cable harnesses we produce is sustained throughout the life of the product. Our equipment and tooling is kept to a very high standard and we continually expand our collection to ensure we have the best facilities to fulfill any order. We are happy to discuss possible orders that may require obscure tooling or machinery. We also strive to ensure that our customers experience an efficient ordering process – from initial contact through to order fulfillment. Carefully plan and closely monitor all production stages. Ensure our production team is trained to the highest standards. Always keep our equipment up-to-date. This ensures that throughout the life of the product, our product quality results in customer satisfaction. We provide 3D modelling for your requirements. Markerry Industries can assist you with your 3D Modelling requirements. The process is highly effective to assist in the decision making prior to tooling & production commitment.